My family and I love purchasing and making fresh hummus in our house. I was interested in trying to make a new flavor. So I went ahead and made an asparagus hummus to enjoy with some crackers and veggies. The flavor of the asparagus really comes out. I think this is just another way to add more nutrition to your hummus. This hummus has a refreshing finish too. Enjoy as a snack or with your next get together. In a medium pot bring water to a boil and add asparagus. Cook for 2 to 3 minutes. In a medium bowl with cold water and ice add asparagus. This will stop the cooking process. Take a food processor and add chickpeas, olive oil, salt, pepper, garlic cloves, asparagus, lemon zest and lemon juice. Blend for 2 minutes until everything is well combined and smooth. Pour into a bowl and enjoy. 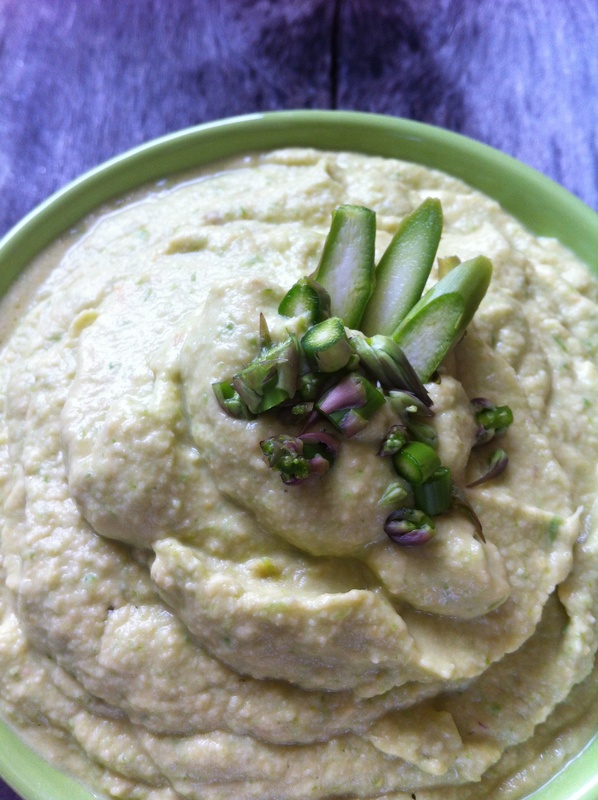 The asparagus hummus looks amazing, I am going to try it tonight!!! This looks great. Do you not need tahini? Usually some hummus are made with Tahini. I made this simple with no tahini. I hope you enjoy. Thanks. Just made it and used a little bit of tahini instead of olive oil. Delicious! Just made this recipe. Delicious!! The only changes I made were that I used a little bit of tahini instead of the olive oil. I also made half the recipe vs the whole. Great, unique flavor!! Thanks for the recipe, Homemade Delish! I love hummus but never tried with asparagus. I’ll try this recipe!